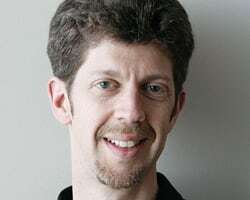 Rob Carrick joined The Globe and Mail in late 1996 as an investment reporter and has been personal finance columnist since November 1998. He has been writing about personal finance, business, and economics for over 20 years. Mr. Carrick writes the "Saturday Portfolio Strategy" column, is the host of the Let's Talk Investing video series, compiles a Personal Finance Reader newsletter two times per week, and is author of the annual Globe Investor Canadian Online Broker Rankings. He wrote the book Rob Carrick's Guide to What's Good, Bad and Downright Ugly in Canadian Investments Today (www.robcarrick.com). He can also be followed on Facebook at Rob Carrick--Personal Finance (www.facebook.com/pages/Rob-Carrick-Personal-Finance/178467687025).